CHANEL Foundation - To Try or not? I Must say till now, High End Brand Cosmetics are something i still haven't explored much during my makeup cosmetics spending spree. Although Last Year i wanted to treat myself to a YSL Rouge Volupte Lipstick in Peach Passion and sadly Franks were out of stock and i was so eager to get it there and then that i was annoyed they didn't have it. So after a year i thought it was time to try again.. Foundation this time going for Chanel. I have checked the Price lists in Franks, and saw that the foundations range from €30 - €45 depending on the foundations. 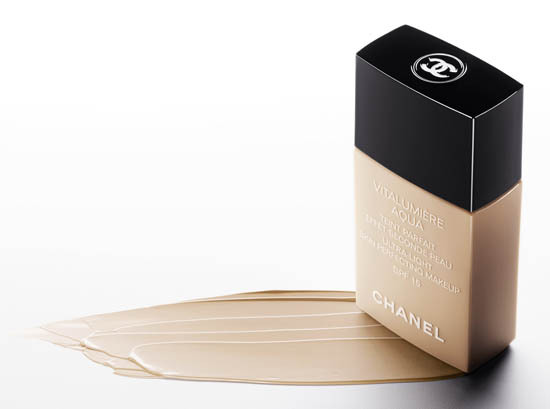 My interest at the moment is the Chanel Aqua Vitalumiere Foundation, It is around €41 here in Malta which is for 30ML of product. It has light coverage with SPF which i thought would be great for summer as with the heat i cant stand full coverage and it's melting down my skin. With the Help from Sam and Nic from Pixiwoo, they had an amazing video on their youtube page that i found helpful for information on some foundations they have from the Chanel Range. I'm not sure if Franks have samples of the Foundations but i'm hoping they do as with it being €40 i would need to test it out before taking the plunge! Does anyone recommend this foundation or any Chanel foundations for summer? Read my review on it if you haven't already.. And I always encourage to get a sample first and work with that..